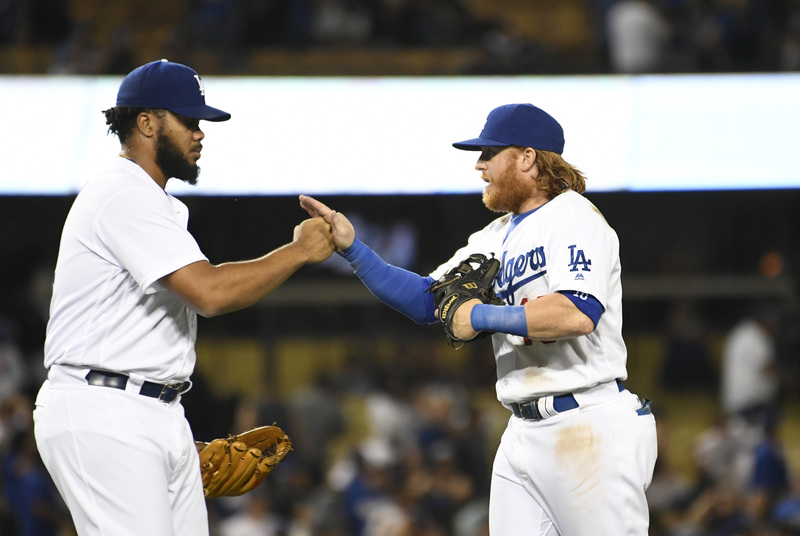 Continuing with this morning’s trend of unsurprising qualifying offer decisions, Dodgers stars Kenley Jansen and Justin Turner will reject the team’s qualifying offer, per FanRag’s Jon Heyman (Twitter links). Andy McCullough of the L.A. Times tweeted as much at the time that each QO was extended in the first place. Each of the two should find at least a four-year deal on the free-agent market, and we pegged the them both for five-year contracts when ranking them in the top five on our list of the top 50 free agents. The 29-year-old Jansen logged a brilliant 1.83 ERA with 13.6 K/9, 1.4 BB/9 and a 30 percent ground-ball rate in 2016. Since making his big league debut at the age of 22, the converted minor league catcher has never posted a single-season ERA greater than 2.85, nor has he averaged fewer than 13 strikeouts per nine innings. Over the past four years, Jansen has a 2.19 ERA with a ridiculous 396-to-56 K/BB ratio in 263 innings of work. He potentially added to his value with a Herculean postseason performance for the Dodgers, recovering from an early hiccup to turn in three appearances of two shutout innings or more. Jansen threw 51 pitches in 2 1/3 scoreless innings in the decisive Game 5 of the NLDS, registering a hold that set up Clayton Kershaw’s memorable save. In Game 6 of the NLCS, he fired three perfect innings of relief with four strikeouts in a losing effort. That demonstration of his ability to work multiple innings effectively in the highest-leverage spots possible makes him all the more appealing as a free agent. Turner, meanwhile, has blossomed into a superstar-caliber talent in three years with the Dodgers after being non-tendered by the Mets and signing a minor league deal in L.A. The 31-year-old (32 next week) has batted .296/.364/.492 in his three seasons with the Dodgers, demonstrating improved power in each year, which culminated with a career-high 27 homers in 2016. That impressive total was accompanied by 34 doubles and three triples, giving him 64 extra-base hits in 622 plate appearances. Turner also registered elite defense at third base this year, according to both Defensive Runs Saved (+7) and Ultimate Zone Rating (+14) in 1224 innings at the hot corner. Although he’s a bit older than the typical free-agent position player, a four-year deal seems easily attainable, and five years is possible for Turner. Ben Zobrist, after all, inked a four-year, $56MM deal last offseason that began with his age-35 season, and Turner’s age-35 season would be the fourth year of a theoretical multi-year pact. The Dodgers have reportedly been in contact with both Jansen and Turner about new contracts already, though the Giants, Yankees, Cubs and Nationals are all expected to be in the mix for Jansen this offseason as well. The Dodgers will collect a compensatory draft pick at the end of the first round next year if either signs with a new team and a pair of picks if both sign elsewhere. Both these guys have been a big part of their success over the last couple years. I’ve thought the Dodgers should have locked them both up a few years ago already. Last winter or spring for sure, but one of the patterns we are seeing from this FO is they don’t seem to believe in extensions. They haven’t done one yet. Not nailing down either of these players when they had the chance to deal with them exclusively and before excellent walk seasons is not looking very brilliant now. In hindsight not locking up Turner now looks somewhat silly. Turner has battled injuries his entire career. Teams rarely lock up injury prone players unless they’ve proven to be a consistently elite player. Even last year he needed routine rest days and he’ll be 32 in a couple weeks.. Not paying top dollar for relievers has always been Friedman’s MO so it’s not surprising that Jansen wasn’t extended. Just a couple seasons ago the closer position was being devalued. Now teams are looking at others who have built the so called “three headed monster” and the closer position is now valued again. Who should they have extended? Looking up and down the roster, I can’t see any real candidates (other than Jansen and Turner) that they should have extended. Kershaw was already locked up before Freidman came along, although he’s only one part of the front office – Stan Kasten was there already when Kershaw was locked up. We haven’t lost anyone that made sense to lock up – unless you’re thinking about Greinke, however what he got on the market is already looking like an albatross. He’s a mercenary, going to the highest bidder (good on him). As we’re talking about Turner and Jansen – we don’t know the inner workings of what was or wasn’t offered. For all we know, both of their camps made it clear they’re going to free agency, and here we are. It takes two to tango. You have a good point in that the list of obvious candidates for extensions over the last two seasons isn’t lengthy, though Grienke does jump into that picture IMO if they’d got to him before his opt-out (and I am not looking at his one down season as a trend but of course it could be). No mistake, all players (and their agents) are trying to maximize their earnings, so good luck finding a player who isn’t mercenary in that respect at least. Turner and Jansen are obvious missed opportunities because their walk seasons were both very strong and I don’t recall a single rumor about the Dodgers talking extensions with either of them last winter or during spring training so I suspect it didn’t happen. I took what little Jansen has said over the course of the season to be disappointment with the lack of commitment to him, more than with the aborted Chapman trade. I also see a lot of “not our guy” sort of thinking from this FO, and neither of these players are their guys. If it’s true that the “not our guy” thinking actually applies, it would be extremely foolish. As for a closer, Jansen is as good as Chapman albeit without touching 100. And while Turner may not hit 27 again, I do believe he’s good for 20. Tough to replace those extra base hits. But, you never know what’s going on in house. The LA FO has been remarkably good at keeping things quiet. It’s the puzzle palace for sure but we get our glimpses inside once in awhile. The Ellis trade for example reeked of getting rid of someone mainly because he challenged Friedman’s authority. Forget the batting line, he was too smart and vocal for his own good and had too many close relationships on the team for Friedman to be comfortable with him. That’s the way it looked to some Dodgerologists. The question on both Turner and Jansen is whether anybody better at their positions is available on the market. I would say not. They might find someone nearly as good as Turner on the trade market, but that has its cost and probably results in a downgrade. He’s also a real fan favorite. Jansen I think is the better pitcher and is more likely to give years of service. His control is better and he won’t suffer as much with a decline in velocity. Question regarding the closer market and value at the deadline. Theo2016 id like to hear your response. If these closers are going to be worth SO much at the deadline. If youre a team with money and looking to rebuild (Angels, mets, yankees, whitesox etc) why not sign as many of these guys as you can? Throw the money at them! Say you sign both chapman AND jansen with the intent to flip them to the highest bidder but may not have been able to afford them in terms of dollars now. Well if you can afford to eat a little salary and any competing team could afford him, why NOT flip them for 3 of their top 5 prospects? So my suggestion is to horde them and buy the talent and flip them for legit prospects or young players. If youre the angels and want to get some serious talent around Trout what better way to do it? It’s early so i dont think that im exactly writing this as clear as it could be. What do you guys think? Also, lets say for argument sake the Angels do sign both chapman and jansen. Which players would you target in a trade to compliment the few core players the Angels do have. Once again, this is just a thought and for the record i am a cubs fan and not an angels fan. Ive just heard so much whining about how the angels cant add to their core quick enough to contend. Well, heres (at least part of) a solution. Have at it. Bigger deals will very likely come with a no trade clause. Plus, you don’t want to continually do stuff like that or the team will get a bad reputation with players, see Florida Marlins. Thank you for pointing that out. I should clarify that this would be a one-time shot with hording relief aces to flip for a better supporting cast. The Marlins, like the Padres, made dumb decisions and had their dumpster fires as a way of getting out from underneath the contracts. This would be different. A more aggressive approach to what the cubs did a few years back trading 40% of their Starting Rotation to get younger. Netted Rizzo, Addison Russell, Kyle Hendricks, Carl Edwards jr. Both Jansen and Chapman aren’t that old so i dont see them getting exclusive no trade clauses. Closers like Jansen and Chapman will be singing contracts in excess of $80M. A team that can’t afford that much now still won’t be able to afford it at the trade deadline since several million are off of the deal. And giving up 3 out of 5 top prospects is something more in line with trading for ace, not a closer. The Padres got Kimbrel and Upton for Quentin, Maybin, Wisler, Paroubeck, and a pick. At the time Kimbrel was the best in the game. The Phils traded Giles (on a pre arb contract) for 1 top 5 of HOU’s prospects and a mix of others. That was viewed as a huge haul. It would cost a lot of money and relievers can be difficult to predict.. Say Chapman blows his arm before the deadline, then what? Or Jansen has a terrible year. Its not worth the risk. It would be better if Angels sign Feliz, Melancon. Cheaper arms and can still be swapped for quality talent when the deadline hits assuming the Angels are out of it. It’s not a bad concept if you can get the player to go for it. Yet another avenue is for the Angels to look at is to assume every bad contract out there, as long as the bad contract comes with legitimate prospects. And who knows. Maybe you get an Eithier with some prospects from the Dodgers, and Andre goes on a tear. You could flip him for more at the deadline. It’s an expensive way to go, but the Angels system right now is totally bereft. They have the cash; doing either of those will build results a lot faster than waiting for the next 5 drafts. Hire more quality scouts. Hire more quality coaches. Sign every ‘good’ contract you can locate. In a few years, whichever team follows that should be fine for a decade if they stick to it. Fantastic input. Imagine combing the two to some extent, drafting well, and luring a key FA or two to buy in to what youre doing and play along with Trout. Like you said, they have the money. It’s whether or not they have the stones to do it. I understand where you’re going with the idea, but it’s too risky in my opinion. In order to do this, the team has to be the high bidder on each player for sure, so to sign them both, they’d be committing $30+ million per year for the next 5 years. They’re not going to be able to trade those contracts immediately afterward, so they’d have to pay them down as you acknowledged. To trade them for young players this season, they’d probably have to eat half of more of the future commitment, which may or may not be worth it, while banking on those young players to develop, so it’s not exactly a quick fix, but it could be high-reward. Where the risk comes in is if they bust, in which case they’ve punted a draft pick for Jansen to acquire 1 or 2 immovable contracts that would further weigh them down. What kind of prospect could you get for taking on Ian Kennedy’s contract? I know the Royals were trying hard to unload him over the summer. Cubbie have many in house options at CL. Don’t pay big for these FA guys. Closers come and go through out the season. Baseball fans know this and smart front office guys know this too. So Cubs fans don’t get to excited about this FA class of Closers. I bet they trade for Doolittle and he becomes a force again, is the saves leaders and comeback award winner. No, really, they don’t. Edwards might be. Rondon is who he is. With Aroldis gone, the Cubs will add someone. Possibly two relievers. Cecil and Holland, perhaps. But, naah. Ryan Williams and Jose Rosario aren’t elite closer material. Unless they become that, much like Andrew Miller did. The Cubs bullpen was a dumpster fire prior to the Chapman signing. They need to IMPROVE it, and get rid of Rodon if they want to get back to the WS again. I prefer edwards in a setup role and am interested to see if he could be stretched out into a starter. Not sure how his changeup or his 3rd pitch is, but that could be interesting. I’ve been all in on them signing Jansen or Chapman. Given how important the relief ace appears to be in the playoffs, I would be suprised if Jed and Theo don’t jump on one or the other. The alternatives being staying in house or adding a few marginal 1 or 2 year deals (cecil i would give 3) but koji uehara, Holland which could leave you down and out potentially. 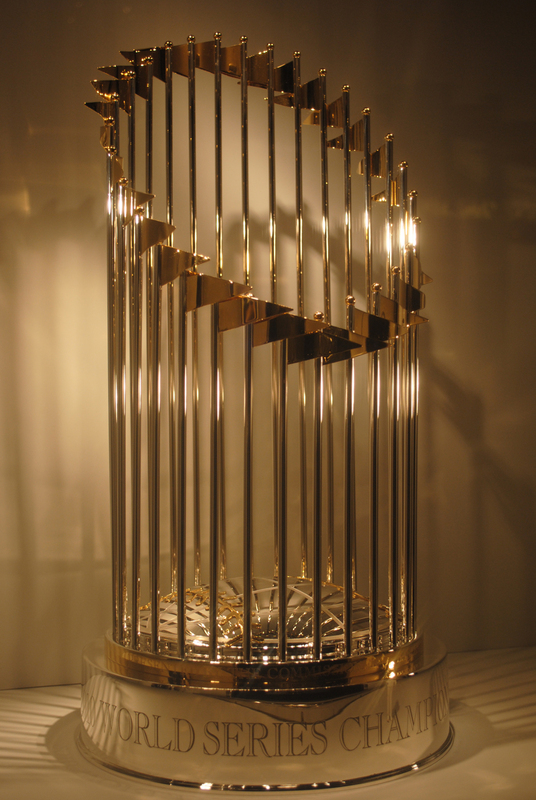 With the cubs poised for another deep playoff run I say spend the money on Jansen or Chapman. Afterall, its not my money, lol. I think both Jansen and Turner are going to be with different teams next year. I expect the Dodgers to go hard after Chapman or Melancon, since they won’t cost a draft pick. Maybe Turner, who loves it in LA, takes a discount and resigns. Who knows? Maybe they offer him more money but less years, sort of like what they floated to Greinke. They wanted that draft pick for Kendrick last season, but when realization came that he wasn’t going to get a multi year deal, they resigned him. Turner would be a big loss for the team, but I think they are definitely exploring trade options as well. I think Longoria is a real good fit. Maybe but if they are seriously considering a trade to fill the 3B vacancy they in essence give up the value of the compensatory draft pick for losing Turner, so that could be a wash, at best. Why? Their career batting lines are virtually identical, and Turner has the advantage of being on the uphill side whereas Longoria’s best years were 3-4 years ago. Not sure why you feel Longoria has regressed. What part of his career or even better last year shows a slowdown? Financially, talent and performance all goes to Longoria. You should probably try comparing their stats head to head before you make an assessment. Btw- I’m a huge dodger fan so this comment can’t be any more unbiased. Just real observation. So as you can see, their career numbers are very similar, but over the last three seasons, it’s hardly even close. I’m not picking on anybody and I know Longoria is no slouch, but Turner has made some huge strides in the last three seasons when he converted from a line-drive hitter to a power hitter. Turner also battled back from his knee surgery over the first couple of months of this season and still came up to Longoria’s best season in four. I like longoria too probably because we were high school teammates but that’s neither here nor there. Here is the one thing I’ll say history shows us that high HR/low OBP guys don’t age well. Defensively he also regressed. Here’s we’re the problem lies with Turner just as Bautista and Murphy just like a lot of late bloomers. You can’t necessarily compare his early career stats because they were changed once they got into the minors or they had a totally different approach. They tried to mold them offensively and it didn’t work. They took Turners leg kick away from him and that didn’t work. He found tremendous success when he went back to it. Is Longo an upgrade sure maybe power wise. But defensively can anyone look at Turner and what he’s done and say that behind Arenado and Bryant he’s not the third best defender in the NL. I also think his bat to ball skills allow him he age better. In the middle of the lineup he struck out 107 times in this day and age that’s pretty low. We also can’t deny that his grinding out ABs in the playoffs weren’t key. So is Longo truly an upgrade? Maybe by a smidge. 6 years ago there is no question longoria is better. But let’s take only the last three years into account because the last three years are really the only years we can actually judge Turner on the type of player he is. I don’t know is he worth sending all those prospects over to TB instead of signing Turner at a not so outrageous price. And let me spell this out it’s going to cost more than it’s worth. Part of me think this splits thing is blown way out proportion because you face way more righties than lefties. It also easier to upgrade at 2b and in the OF if Toles and Pederson cant hit lefties. Isn’t that what I just said, only longer? Longoria longer. Seriously, Turner looks a little heavy on his feet to me defensively, and more than once I’ve seen him glove a ball that demanded a barehand pick, but for sure he gets the job done. Your comment didn’t appear as I made mine. But yes similar sentiment.